While most people acknowledge the importance of a good breakfast, very few actually partake in the first meal of the day. But the fact of the matter is that, no matter how many times you've heard it, “breakfast is the most important meal of the day” isn’t just a saying: It’s a scientific fact. Research shows that breakfast affects everything, from your ability to perform at school to your ability to fit into your tightest jeans! 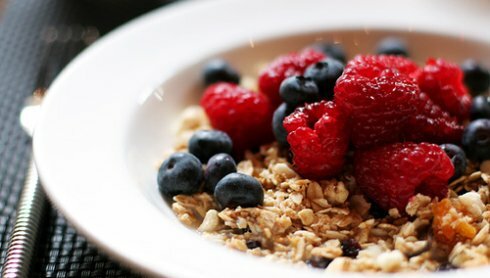 Studies on breakfast show that eating a good, balanced breakfast boosts success and also promotes mental acuity. In fact, breakfast eaters statistically have better grades and are more likely to graduate. Eating breakfast also helps reduce cravings for sugary food throughout the rest of the day, and boosts your metabolism to boot. So if you're a breakfast skipper, you may want to rethink your morning routine. Click here to learn more about why you should eat breakfast.